Did you see Grease LIVE? It's an iconic broadway classic musical and not only was I mezmerized by the dancin' and singin' in this live production, the costumes were fabulous! Coming from a media and television background, I knew it was a HUGE production to pull off a LIVE act like this but the costumes alone used great ingenuity. After seeing the show, I learned that Julianne Hough ("Sandy") and the entire Grease musical ensemble had used magnets in their wardrobe and then, I knew I was not alone in my revolutionary thinking when I designed The Nina Bra. 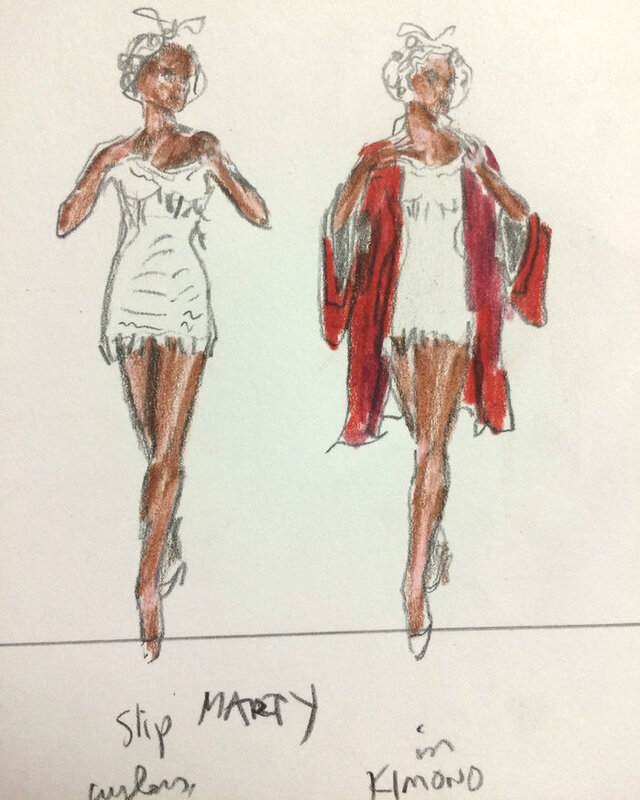 Here's more about what William Ivey Long, Costume Designer had to share about the costumes on Grease Live which aired on FOX TV earlier this year. “We are doing an homage to Grease, but this is our own version,” costume designer William Ivey Long, who's best known for his work on Broadway, told InStyle when we caught up with him last week. “There are three or four looks that are very similar to the original, but that’s where it stops.” So while you’ll see Sandy in an all-black look “just like the one that Albert Wolsey designed for the film,” and staples like T-Bird leather jackets and Pink Lady jackets, they’ve all had a modern update. “I redesigned them, so they’re not going to be exactly the same,” said Long. One thing that is staying the same? “The school colors are still red and white!” . . . Here's a little history of the use of magnets in the development stages with the first CRISSCROSS bra (The Nina Bra) and how I learned what works and what does not thru my product research, and trial and error process with the first few bra prototypes. Raw basic sample with use of magnets 5/29/2013. We tested the bra and placed the magnets in different locations during our research 6/4/2013. The concept was developed, magnets pulled and now we had to perfect it! 6/4/2013. We tested different shapes, sizes and weights of magnets for closure and tested a number of magnets for closure on unfinished compression bra 6/24/2013. The garment stayed closed very well however pulled because there were too many magnets too close to one another 6/24/2013. We got close to the final design with the first prototype and realized where the proper closure should be located. Many thanks to my fit models and then to many Survivors who wore and tested the final prototype (The Nina Bra) 10/2013 as seen to the right on the cover of Revenge Fashion Magazine. We got the design down to 5 magnets per bra all on the band placement, perfected the rest of the bra design and had our soft launch 10/30/2014. And more tweaks and now down to only one magnet. Yes, we figured it out. We launched an entire collection of products including The Nina Bra, The Grace Bra (plus size), The Christina Bra (pocket prosthesis) with an ecommerce site in 4/2017 with over 150 SKUs and now we have over 200+ SKUS, in ten bold beautiful colors. Putting revolutionary ideas to work! We utilize cutting edge fabrics that incorporate our understanding of compression micro-fibers, color psychology, and magnets to provide products that are designed to aid circulation, increase energy and promote healing. For more information about CRISSCROSS Intimates innovative designs and revolutionary products, please shop CRISSCROSSIntimates.com. For media inquiries contact info@crisscrossintimates.com. Don't let cancer get the BREAST of you! Look for Jean Criss on Modern Living with kathy ireland in your market mid-November! Seen on WeTV, Bloomberg & many social sites.